On Sunday, June 3, Guatemala’s Fuego Volcano erupted, killing at least 75 people at the time of this post. Despite the persistence of emergency responders hoping to find survivors, the efforts seemed to be in vain in the face of the magnitude of the disaster. Furthermore, there was an additional landslide in the volcano’s hillside in the morning hours, forcing a temporary halt of the search activities and triggering an evacuation for everyone at the epicenter of the disaster. The mayor of Escuintla, Abraham Rivera, said that during the eruption on Sunday the pyroclastic flow following the eruption went beyond its normal path of descent, giving a narrow margin for evacuation. The power of the eruption caused a shower of ash over several cities, forcing the temporary closure of La Aurora International Airport and schools in the Escuintla, Chimaltenango, and Sacatepéquez regions near Fuego. 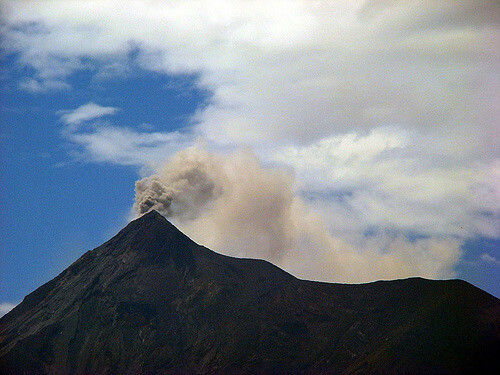 According to experts, the eruption was the most violent in the past 40 years. The National Committee for Disaster Reduction in Guatemala (Conred) reported that of the 3,265 that were evacuated, 1,700 remain affected with 1,689 people still living in shelters. Furthermore, according to CNN, at least 15 people, including 12 children, have been hospitalized with many reporting severe burns. The BBC has published images of bodies trapped in what is locally referred to as “correntada,” a mixture of mud and lava covered by a layer of ash. Early Monday morning, the Guatemalan government called for a State of Emergency in the regions most affected by the eruption of the Fuego volcano. It also declared the “duelo nacional,” or national mourning, for three days in all parts of the country. DRI International stands in solidarity with the Guatemalan community, wishing it a prompt recovery from this tragedy.